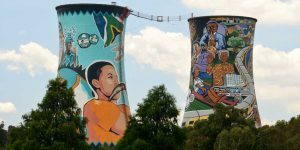 Discover one of Johannesburg's most energetic and fascinating townships on a half-day visit to Soweto, an area known for its rich political history and vibrant trendsetting culture. Soweto is home to anti-apartheid activists, Nobel Prize winners and social protest that shook the world. Witness the disparities between rich and poor while learning about how the township came to be and its fight agai..
Johannesburg, South Africa's biggest city and capital of Gauteng province, began as a 19th-century gold-mining settlement and is now considered both the economic and cultural centre of South Africa. 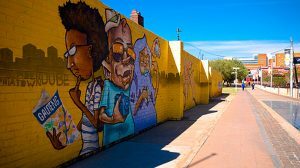 This morning tour takes in the streets of Newtown, a cool inner-city district housing theatres, art galleries, museums, restaurants, book shops, craft markets, clubs and cafés. Enjoy fabulous views fro..